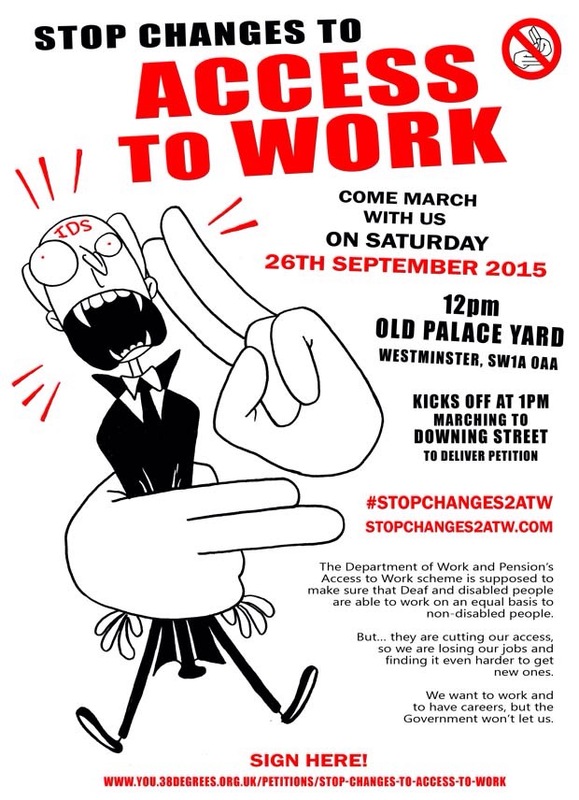 Come march with us for Access to Work on Saturday 26th September 2015. Meet us at Old Palace Yard, Westminster, London SW1A 0AA. We will march to 10 Downing Street at 1pm and have a rally at Richmond Terrace afterwards. The Department of Work and Pension’s Access to Work scheme is supposed to make sure that Deaf and disabled people are able to work on an equal basis to non-disabled people. But… they are cutting our access, so we are losing our jobs and finding it even harder to get new ones.